Q: When and where is the conference? A: Saturday 25th June, 2016 at The Brewery, Moorgate, London. Registrations starts at 8 am and we should be finished by about 8 pm. Q: Where can I get a badge? A: You can download a #BML16 badge here. Q: Do I need to sign up for sessions in advance? For most of the sessions, you pick on the day and just turn up. There will be a few you need to sign up for in advance; we will announced these on the BritMums blog and email ticket holders about these sessions along with instructions on how to sign up. Is the venue fully wheelchair accessible? A: Yes, the venue is fully wheelchair accessible and we’ve found The Brewery staff very helpful in accommodating all of our delegates. There is a small lift to naviagate the stairs to the Hub and 2 elevators to the rooms upstairs and downstairs, as well as accessible toilets. Please do email us on [email protected] to let us know about your needs in advance and when you register at the conference make yourself known to the BritMums team. Do get in touch via our email to talk about any specific arrangements. Q: What meals are included? A: Rolling tea and coffee, lunch and snacks at the BiBs receptions are included in your ticket price. Q: Is there anywhere to leave my bags? A: The venue has a coat check where you can leave bag. Please note you leave at your on risk. Q: Can I video or live stream sessions? A: Please note that the use of Periscope or other streaming is only allowed in the plenary sessions. Live streaming the breakout sessions is strictly not allowed. A: Absolutely not! While parenting is a shared experience of many of the blogger delegates, our content is relevant to all bloggers. But book early if you want to attend, we sell out every year. Q: I work for a PR agency/Brand. Can I attend too? A: Absolutely! #BML16 is the best place for PR and Brands to meet influential parent bloggers and social influencers. You will need to purchase the Business Ticket (yes, even if you have a personal blog!) and you will need to adhere to the same guidelines as do Sponsored Bloggers — read the full list here to make sure you don’t fall afoul. The Business rate is intended for brands, agencies and other corporate individuals. We will refund any individuals with those qualifications that purchase a blogger ticket. 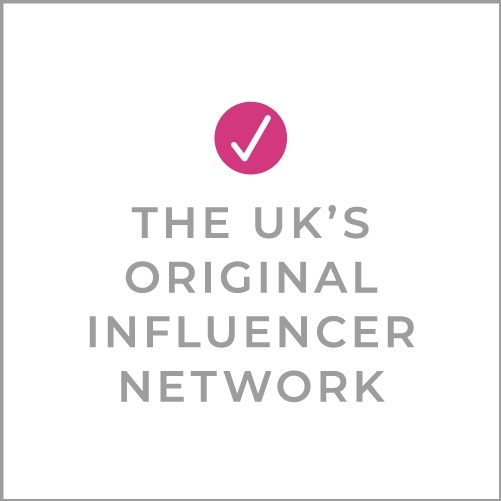 Please note that PRs/Brands are under the same restrictions as a sponsored blogger, i.e. you cannot bring/leave/distribute any branded materials with you to the conference. Q: I’m a brand. Can I hold an event around #BML16? A: It is not permitted for a brand to organise event/meetings in and around the event without the express permission of the organiser. The organiser reserves the right to exclude any such brand/individual that does so. Q: Can I get a sponsor for #BML16? A: Yes! You can get a company to sponsor you for #BML16. You might want to get your ticket now (they sell out), and search for a sponsor later. Please keep in mind that all sponsored relationships are between you – the blogger – and your sponsor. Companies that sponsor bloggers are not necessarily official sponsors of our conference. The only official sponsors of #BML16 are those that have stands at the show. For more information on how to sponsor #BML16, please email [email protected]. A: No. We subsidize the conference fees and keep them very low so that the price is affordable. It’s not necessary to have a sponsor, and you may enjoy the event more without one. However, we recognize that going to a weekend conference is a big investment and many like to have sponsors to help with costs. Both are acceptable, and it’s your choice. A: First thing: Read the Getting Sponsored & Guidelines page for the full explanation so so you don’t risk being asked to leave (yikes!). Some highlights: You cannot pass out any materials related to your sponsor on the event premises, this includes samples and marketing materials. Also – keep any branded clothing to T-shirts, badges, etc (NOT big costumes). Anything found will be removed and the blogger/sponsor will be responsible for any costs associated with the removal. Any blogger who is found in breach of these guidelines will be asked to leave the premises. Any questions shoot us an email to [email protected]. Q: Do I need to disclose a sponsored relationship? A: Unfortunately we cannot issue refunds. You can re-assign your ticket in whole up to two weeks before the event. Note you cannot split tickets. Please email any [email protected] to request the ticket change form. Sorry – WE CANNOT MAKE ANY CHANGES AFTER TWO WEEKS BEFORE THE EVENT. There will be people at the door checking tickets and photo ID – so make sure you do this by the deadline. Have another question? Just email us at [email protected].